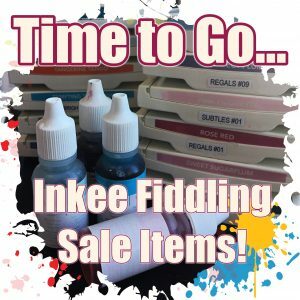 No Line Watercoloring Technique by Stampin’ Up! A very easy technique that will most definitely bring out your inner painter, allowing a simple stamped image to take on a completely different dimension for you. 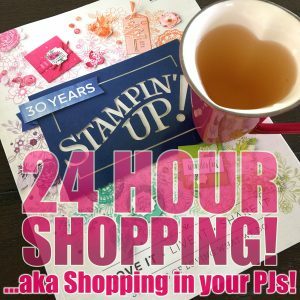 a member of the Stampin’ Up! 2018 Artisan Design Team. Hello friends! Today I made a card for you with a watercolor background. 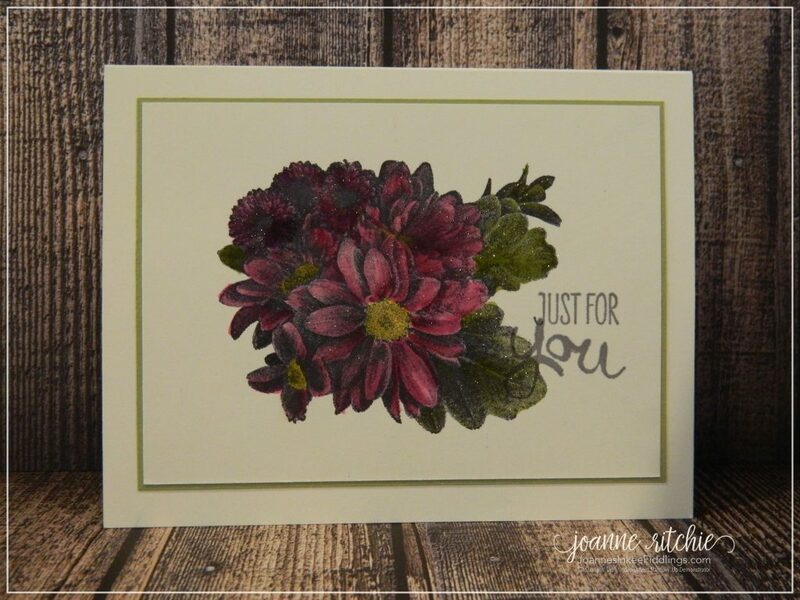 I created my card using the Petal Palette Stamp Set (item 145788) and I’m going to show you how easily you can turn a simple stamped image into a watercolor image. 1. 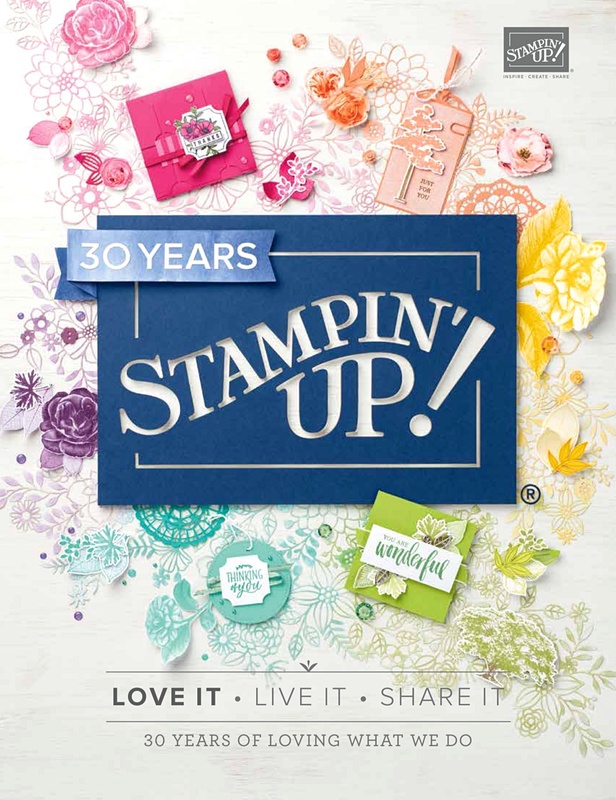 Stamp the image as usual on a sheet of Watercolor Paper (item 122959). 3. 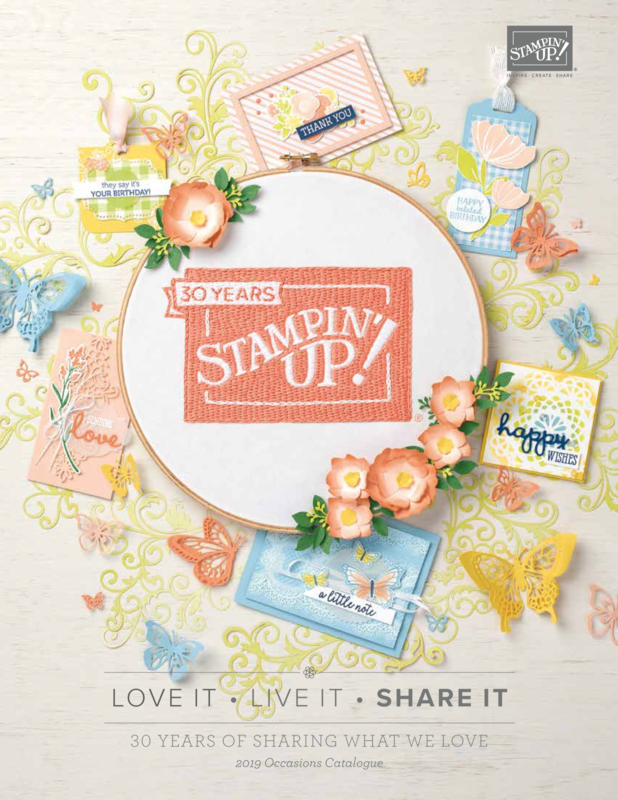 Pick up some ink from a Calypso Coral Classic Stampin’ Pad (item 147101) and lightly dab on the water. 4. Let it dry thoroughly and then you have your stamped image with a watercolor look. I used this background to make a romantic card, for example for a wedding. I stamped the bird in Tuxedo Black Memento ink (item 132708) on Whisper White Cardstock (item 100730) and then cut it out using the Big Shot (item 143263) and the Petals & More Thinlits Dies (item 145655). I stamped the greeting “Glückwunsch” (“Congratulations”) in Old Olive ink (item 147090) and cut it out using a coordinating Framelit. 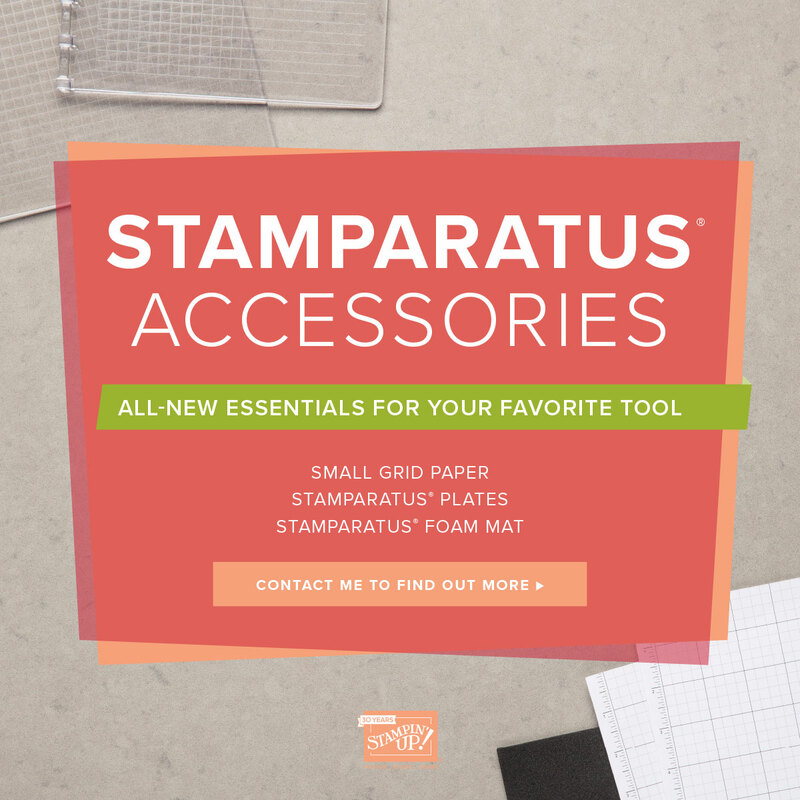 These amazing Thinlits also include some beautiful detailed images that I cut from Calypso Coral (item 122925) and Pear Pizzazz Cardstock (item 131201). Finally, I decorated my card with Linen Thread (item 104199), True Gentleman Buttons (item 145596), Very Vanilla 1/2″ Lace Trim (item 141672), and Share What You Love Artisan Pearls (item 146927).